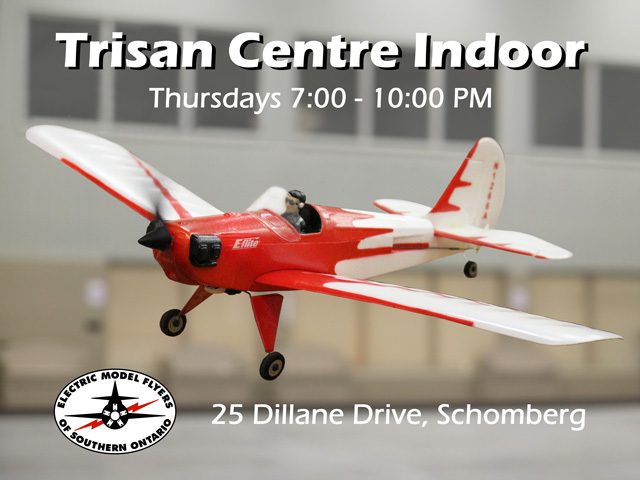 Starting May 9, 2019 indoor flying returns to Trisan Centre in Schomberg for a total of 7 weekly sessions. The indoor area is huge and at a cost of $4.50 per session, a great value. See you at Trisan Centre Indoor.